Here was this guy doing an amazing job and making very healthy profits from his product that the market has accepted. But he was considered boring because he was profitable. The defense being that because these guys were profitable they might not take risks of a scale that might tip the company towards loss while eyeing big bucks. In their case, there was some logic to the argument. However, this attitude is not limited to companies like them who can grow at scale and that is what I wanted to write about. We keep hearing stories in media about million and billion dollar companies, companies who have been around for years and have 100s of employees but are called ‘Startups’, which makes zero sense. However, these are the stories that are fed to so many starry eyed wanna-preneurs. We hear about Swiggy getting a $1 Billion funding. But we don’t hear ‘as much’ or pay as much attention to this: Swiggy’s loss nearly doubled to 397 crore in 2017-18 from 205 crore, as the startup spent heavily to keep its lead over rivals such as Zomato and Uber Eats. Have we come to a place where we are constantly going to look at scale and not ground reality? Of course, I understand the game of commerce, there has to be a balance of companies of various scales. Some will aim for the skies, some reach, some fail. That is not my concern though. The concerning question that troubles my mind is this: ‘Have profitable companies become boring?’ If we don’t aim to be the Unicorns of the startup world, are we just the regular Donkeys bearing the weight of honest every day work? Why do we not hear in the media as much about amazing companies who are operating at a limited scale making healthy profits, creating amazing products, providing great services? We have a huge respect towards some clients who we work with. These are clients who are doing a very honest job at what they do. They are passionate about what they do, they make profits, they offer great products & services. Their customers love them. It is heartening to see customers leaving positive feedback on their Social Media Accounts that we handle. We ran an ad campaign for a client who runs a sweet shop in a Tier-B city. It was a contest asking people to guess where they are opening their new branch. If they answer right, they get a gift voucher. But these guys came and commented about how much they love the brand, how much they love their Mothi Laddus, Myrurpak and how the shop was a part of their growing up in the city. It made us smile, there was a gratification in knowing we were helping a brand grow and reach its actual customers in a positive way. In my 5 years of running Productive Solutions, we have worked with more than 450 clients. A lot of them are companies who are just starting up. However, when I speak to most of them, it is just heartbreaking to see their approach towards the market. They want to become the next Flipkart, next Swiggy, next ‘Some top company that is making huge losses’. The worst part is that these guys wanted to startup after hearing stories about these huge companies, not because these guys have a great vision or product or service. Their business plans start after they receive the funding. They are not ready to carry the load that comes with running a company. No wonder more than 95% of startups close within the first year of operations. We need to redefine how success is defined in the business scene. We need to hear about the comparatively small and medium players who can also be called ‘Successful’. We need more stories about companies like this client of ours. Let there be the Flipkarts, Amazons, Swiggys, OYOs. May they be celebrated. But let us also celebrate the others, irrespective of their sizes. Let us talk about the Sweet Shop that makes amazing dishes, the Hearing Aid company that does am honest work, the Web Design Firm that does a great job, the ice cream place that serves yummy flavours… The places we will go and buy things from, avail services from even if they have no offers. You know what I mean. 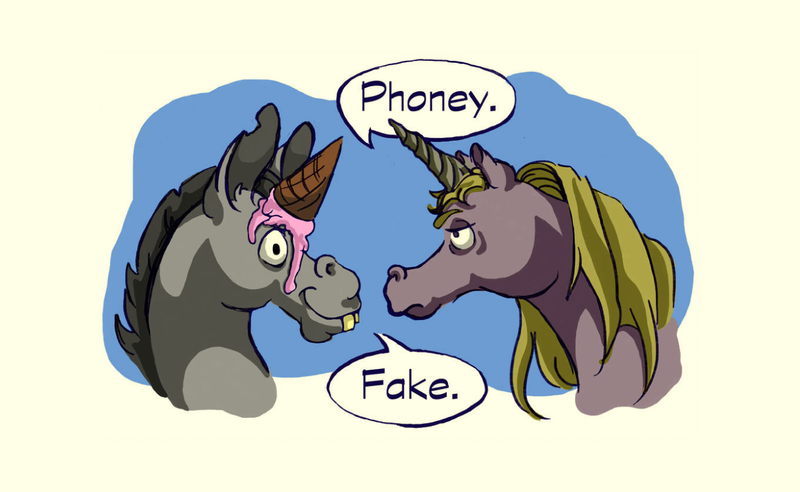 Let it not be just Unicorns or Donkeys! Liked our Blog? You can check out our Older Posts or check out some of the work we have done for our clients.